The world’s first female-only trampoline park has opened its doors in Riyadh, Saudi Arabia. An indoor adrenaline pumping venue, packed with activities, Bounce Rawdah for ladies and children (boys under the age of 10), is the perfect place to have fun, get active, or just hang out. The largest trampoline venue in Riyadh, at 3,500-sq-m, Bounce is located in Rawdah on the main East/West Khurais Road. The venue is packed with over 80 interconnected trampolines, a dodgeball arena, slam dunk, super tramp, cliff Jump and huge inflatable airbags. It also houses the high-energy X-Park Freestyle Playground (think Ninja Warrior, with Zip Lines, Bouldering walls and the Spider Climb). It caters for all capabilities and has been an enormous hit with customers of all ages in Bounce venues around the world. 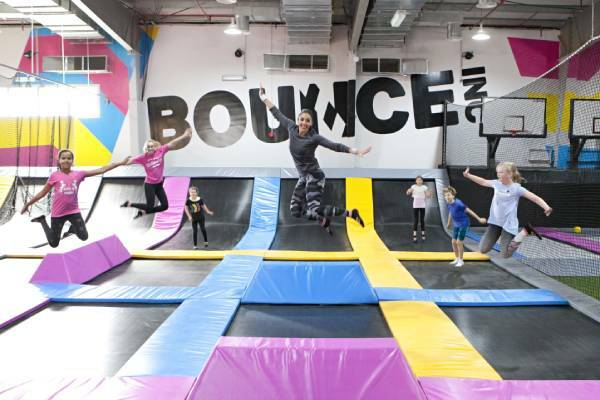 Mashael Attieh, managing partner of Bounce Saudi Arabia, said: “After the successful opening of Bounce Jeddah, we are thrilled to bring the world’s first female-only trampoline park to Riyadh. Jumping on a trampoline is a low-impact workout with many health benefits and is often promoted as one of the most effective forms of exercise. NASA believes jumping on a trampoline is one of the most efficient and effective forms of exercise and studies have found that 10 minutes of jumping on a trampoline burns the same number of calories as 30 minutes of running. Doran Davies, CEO of Bounce Middle East, said: “Bounce sets the standard in family entertainment and we are looking forward to welcoming guests in our brand-new venue as we continue to provide the kingdom with the ultimate ‘healthy and fun’ entertainment experience. “With the opening of Bounce in Riyadh, we will provide ladies of all ages and abilities with one of the newest and most popular entertainment options in the market, as well as a unique training ground for many sports. "We are excited to build a relationship with the community of Riyadh while providing opportunities for families and friends to come together and enjoy unlimited amounts of fun!"